The HO tribe, speaking an Austroasiatic language, emerged between the twelfth and eighteenth century. By 1767 it was the main power in its region. In 1818, the East India Company was invited in by a local raja, and soon clashed with the inward-looking, fiercely independent HO society. The next two decades, the neighbouring rulers employed HOS as freebooters in their wars, and their inability to control them created security concerns for the East India Company. In 1837, after much deliberation, the Company took over the HO area. 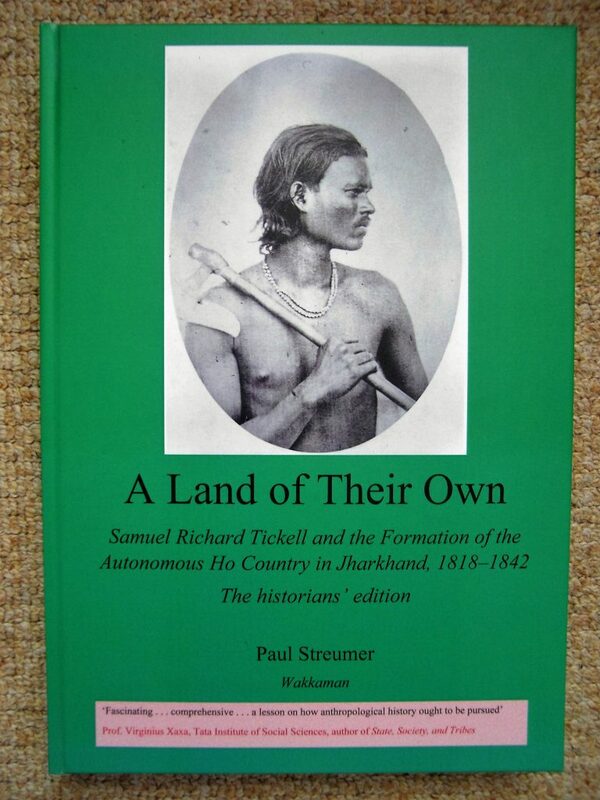 The next five years its first administrator S. R. Tickell organised the new estate, wrote the first HO grammar and an ethnographic account of the tribe. This book examines how the HO tribe came into existence; the military actions of the East India Company to bring the HOS under the local rajas; the heated debates inside the East India Company about the strategy for dealing with the tribal peoples of Jharkhand; the pragmatic implementation of the new strategy inside the area of the HOS. It gives a short biography of Samuel Richard Tickell. It discusses in depth his uniquely intimate description of HO tribal life in the 1830s. It is a history we can relate to. It offers careful descriptions of the events; it presents individuals in sharp relief. Importantly, here, the HOS, too, are individuals who think and act for themselves. Some of Tickell’s beautiful bird and landscape paintings are published here for the first time. With its references and index, the book meets high academic standards of transparency and accessibility. It offers ample tools for further research in its notes and bibliography. For more information, see the menu on top of this page or in the side bar.